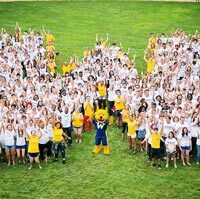 The January start to the Spring 2016 term is right around the corner, and welcoming our new and returning undergraduate and graduate students is crucial and impactful for Webster University. Combining efforts this year, the Department of First-Year Experience Programs and the Welcome Student Committee need your help during the weeks of Jan. 4-7 and 11-14. To start the new term off by offering your time and energy, click on https://webster.co1.qualtrics.com/SE/?SID=SV_aaurV7EdxZYYalD, which will walk you through the registration process. For questions contact John Weseman at extension 6990. Thank you being part of this important and fun effort for our students!